Home / pc / playstation / reviews / videogames / xbox / Deformers ,Squishy things that go splat in the night. 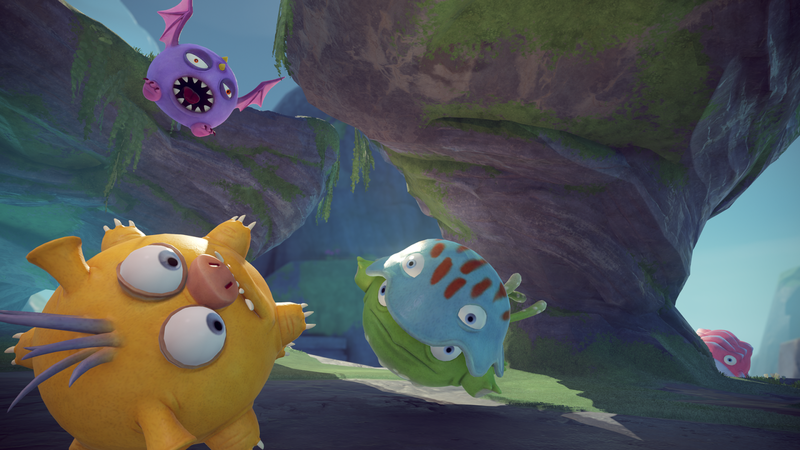 Deformers ,Squishy things that go splat in the night. Deformers is an physics based arena brawler by Ready at Dawn the studio responsible for games such as the order:1886, Daxter and God of war:Chains of Olympus. After the massive single player cinematic experience with a deep storyline that was the order:1886, ReadyatDawn has taken a sharp left turn and is bringing a new game that focuses on gameplay, multiplayer mayhem and lots of cuteness. A physics based arena style brawler with a cartoon feel where you play with a gelatinous form against up to 8 other people in various levels that include weapons, hazards and obstacles. The big draw of the game comes from the fact you can costume your blobs( forms) to look like goofy hamsters, cows, cupcakes and a host of other cute things and then dive in to mayhem of action. With a large numbers of un-lockable skins as well as accessories such as hat, glasses, backpacks and more there is a concerted effort to keep you playing for more coin so you can unlock more parts. 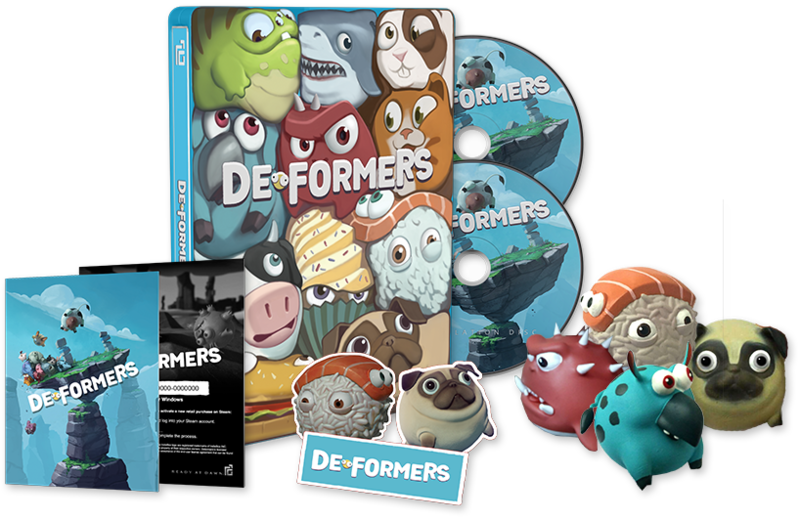 The game is available digitally but also as a physical, including a neat collectors edition for a little more money which comes with a bunch of deformer balls that are just too cute and most likely a hit with any kid or any adult who is still a kid at heart. Playing a blob is not as straight forward as you would believe. 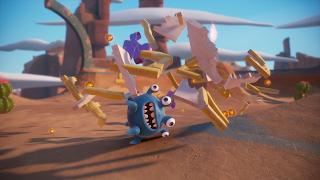 You can roll around, shoot pellets to pelt your opponents with, charge attack, pick up other or objects and throw them , jump and use special abilities. The controls are not too difficult but take some time to get used to but unfortunately there is no tutorial included in the game to address this and no single player walkthrough or even instructional movies to tell you what to expect. RAD does have some movies up on their youtube channel that explain the game controls fairly well, so I am surprised nothing was added in the game itself. So it comes down to jumping in match and just be lost for a few rounds until you get a feel of what you are supposed to be doing. The game ships with a handful of maps and 3 modes out of the box Death-match, Team Deathmatch and Form Ball (think rocket league with blobs instead of cars). If you do not want to be exposed to online mayhem you can create custom room match where you can play with dummy targets or some friends. Once you select you match, you pick your form and choose a specialty. There are 6 to choose form and some are easier play style then others. Some focus on defense, others on speed or attack. A match lasts multiple rounds ( 3 for Deathmatch and 2 for form ball) and in between you are able to change your play style if you feel the need too. When playing the game will feel like total chaos at first , especially in a full match. Add the crazy physics, objects and hazards to the game and it is easy to be overwhelmed. According to Ready At Dawn the matches are designed to be easy accessible, short and easy to play but with a big skill-depth. The first few matches I played seemed to be more akin to a kindergarten schoolyard then a well focused team. Especially Formball was like a bunch of toddlers chasing a ball from net to net with no focus. After a few hours I encountered more savvy players that started implementing better tactics, which in team vs team matches causes some imbalance right now. With the physics in this game I wonder though how they will effect randomness to a match and if it will detract from people trying to play skillfully. In other words how often will you get just "unlucky". After you finish a match, which lasts 2-3 rounds you can review a replay of your game that has an amazing amount of detail and options. You can see your routes, the actions your took, you can move the camera, fast forward and rewind etc. This is great to rewatch a particular crazy part of the match but also to study the game and become a better player. While playing you collect strands which can be traded for coins and those can be used to unlock many of the accessories in the workshop. This workshop is where you can spend a good amount of time dressing up your form in various skins and outfits. There are hundreds of combinations to choose from, but you will have to collect the coin to be able to access them. Monocle or Disco? Choices choices! Deformers lets a big part of the physics calculations taken care of by the cloud, which means it is an always online type of game. 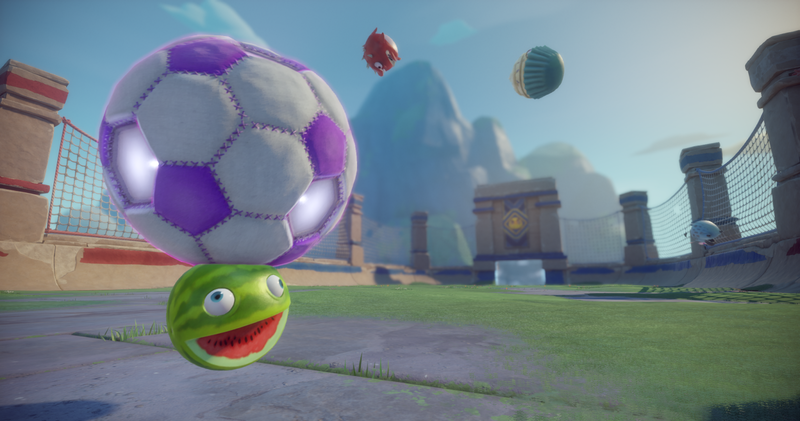 According to the development team using the cloud ensures the game can run at a high frame-rate and deal with the organic, spontaneous behavior of the physics engine during a high octane match. It would be a really nice addition if the game gets a toy box mode in the future where you can play around with the different rulesets, objects, forms and physics in the game engine. The possibilities seem endless for game modes such as tag, hide and seek and perhaps some sort of sumo wrestling. I really wonder what is in store next for this game. Editor's note: According to a post by the game director of Ready At Dawn on the game forum NeoGaf the team is working around the clock to address current online issues. He also mentioned the following "Also, the console versions are a couple of weeks behind the Steam build, which has several improvements/fixes client side, and adds Quickchat.We will bring all versions to parity with the first update." The founders pack is included in every copy of the game for preorders or anyone who plays during launch week. Online prescence ..it is a blessing and a curse. Crashing barriers would me more fun with friends. It is nice that you can jump into a lobby together and have an instant party you can communicate with. Especially handy during formball or team deathmatch. The split screen presentation forces an aspect ratio leaving much of the TV screen unused as well, I would rather the use of my entire screen whether it is side by side or top/bottom). According to Read At Dawn this was a choice based on feedback and not as much of a technical issue. I am further a but worried about the use of micro transactions to purchase in game credits for real money so you can shop of more accessories. It is hard to shake the nagging feeling that the game can start to nickel and dime it's player base. That said, it is possible my worries are unfounded and that it simply offers a way for those that do not want to grind out all characters over a long period of time. * I tested the PS4 version and am unsure how split screen works on steam. It might be that the issue is only with consoles. This game is super cute and can keep drawing you back in to see what silly skin or accessory you can unlock next. 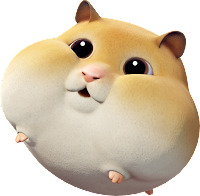 When playing the game with my youngest, the squees of delight for each creature on screen ( especially the hamster) and every adorable accessory preview filled the room and it took a good chunk of time before we even started to actually play. Being as the game is online only means contact with players across the globe. So follow your internet rules here as well. And pay attention who they play with and what is happening. You know ..bug the kids with that silly parenting we do. The game contains no blood and no bad language and all forms so far seem appropiate. Even though split screen play need two or more accounts (up to four), the option is there to play with your kids in team play or versus and show them who is the true champion in your family. A good amount of fun can be had messing around within the map and the physics engine. Deformers has much going for it in terms of looks, gameplay and character design and seems primed to be a big hit and maybe even have merchandise possibilities (madballs tie in anyone?) but the online only and the micro transactions may sour the experience for some. Perhaps the launch issues will be resolved soon and the fears of the micro transactions end up being unfounded. Just incase makes sure you lock that credit card away from the kids. Formball is a favorite in our house. 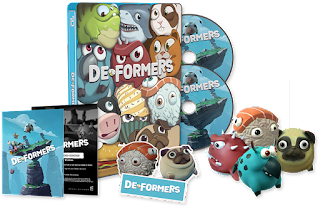 At this time a $30 price tag for Deformers feels a little too pricey for what it delivers in content. Though oddly enough the collectors edition at ten dollars more is still very tempting for the cute collectables alone. Hopefully the game will have the opportunity to grow and improve.More game modes and inclusion of AI bots and a tutorial for newcomers would be a good start. 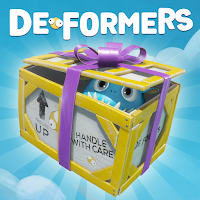 It is a shame these issues exist because Deformers is a lot of fun when it all works, I actually really like this game. 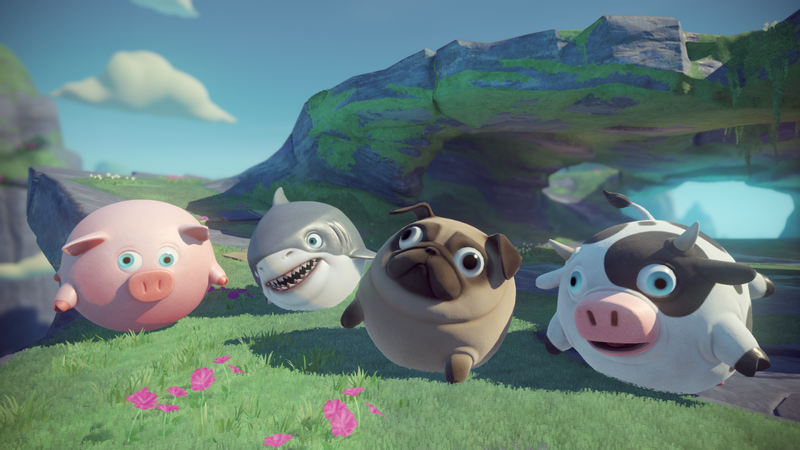 The mix of cuteness, action and crazy physics makes for a very entertaining and repeatable experience. As it stands right now however, you should really take pause and see if the premise of the game and the character design enough to deal with the drawbacks then you should check it out. Edit 4/23/2017: Made changes on the requirements for split screen play on PS4. * Please note we asked for a few clarification about the game from the developers and will update this article as soon as we have answers.